Home » News & Views » Education, Employment & Training » Aberdare Community School Transition Event For Year 7 – A Success! 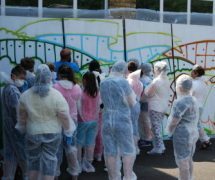 Aberdare Community School Transition Event For Year 7 – A Success! 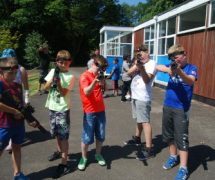 In order tobetter prepare the upcoming year 7 pupils into what can sometimes be astressful and potentially scary transition from primary school to secondary school,the Youth Engagement and Participation service (YEPS) staff of AberdareCommunity School (ACS) devised an activity-filled transition programme at the ACSPlasdraw site on the 22nd to the 24th July, 2014. 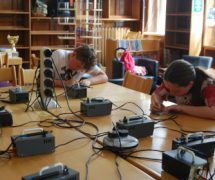 The programmeincluded a diverse range of activities including team building games, pyrography,graffiti art, kwik cricket and laser tagwhich are detailed below. Furthermore, the pupils were involved in a treasurehunt of the school to allow the young people to explore the site and becomefamiliar with the school rooms, in a safe and controlled environment. YEPS staff attendedthe year 7 assembly during the pupil’s introduction days to ACS to gaugeinterest in the programme; resulting in a positive response. 27 consent formswere returned and confirmation of the event was then forwarded to all those pupilsthat had shown an interest in attending. Of those whoexpressed an interest we had an overall turnout of 23 with 21 of them attendingregularly throughout the week. The initial introductions of pupils and staffwere delivered in the form of team building games created to get everyoneacquainted in a fun and non-threatening manner. This was followed by a treasurehunt, allowing the young people the opportunity to explore the building byfollowing the clues and becoming familiar with layout of the school. Once wehad concluded the treasure hunt we gathered the young people onto the yardprior to lunch, to take part in a game of kwik cricket in order to get theyoung people more involved with one another. The young people benefited from somehealthy competition. The pupilsenjoyed a pyrography activity in which they produced a quality piece of work inthe form of key rings and door plaques that they could take home. The youngpeople were fully engaged throughout the 2 hour session and it was impressiveto see their attention span and concentration levels maintained throughout theallocated time. As a resultof the sessions success, YEPS staff have acknowledged that this would be anideal activity that can be delivered as an after school session for year 7pupils in the new academic year. 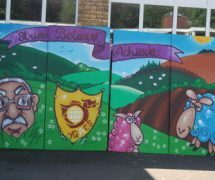 YEPS staffwere approached by a local business to help develop a graffiti art project. Itwas decided that this project be included as part of the transition programme. The youngpeople were instructed on how to use the equipment required safely and weregiven protective clothing in the form of body suits and protective masks tocarry out the activity. The youngpeople were given the opportunity to paint a pre-designed canvas which will bedisplayed as a feature wall in Celtic Motors motorcycle shop in Aberaman. The pupilsworked as a team to complete each board, taking turns in a well co-ordinatedmanner. 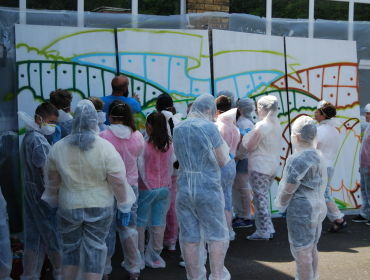 Within their teams the young people were patient and supportive of eachother and followed instructions given by an experience graffiti artist. The YEPSstaff felt that this would be a good opportunity to showcase the work of theyoung people of Aberdare Community School in a community setting which willpromote the new school ethos – ‘Strive, Believe, Achieve’. The pupilswere also given the opportunity to create their own graffiti art canvases totake home as a personal memento of what they had learnt during their time withthe graffiti artist. 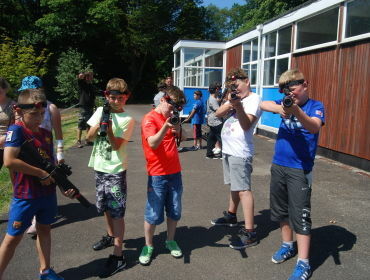 The threeday programme concluded with a laser tag activity providing the young peoplewith the freedom to once again explore the school grounds. 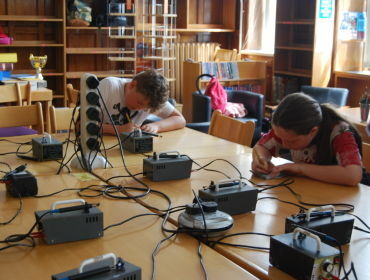 The young peoplewere split into teams where they were encouraged to seek out their opponentsusing the laser tag equipment to eliminate them from the time limitedgame. The threeday transition programme was evaluated by the young people who were encouragedto share their thoughts on flip chart paper following the final activity. Onreflection the young people seemed to enjoy the transition programme producedby the YEPS team and the objective of breaking down barriers, making newfriends and building confidence in a new environment had been achieved. This wouldbe a project that the Youth Engagement and Participation team in Aberdare wouldlike to continue and replicate in the newly formed Aberdare Community School infuture years.